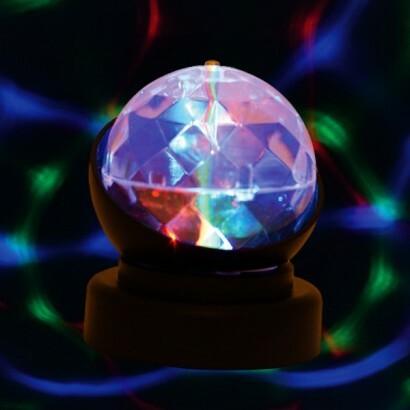 The mini party crystal ball light may be small, but the effects are big enough to transform a whole room! A mini battery operated kaleidoscopic disco ball projects waves of colourful light onto surrounding surfaces for mesmerising effects taking your room from standard to instant party in no time! Just the right size to place on tables or sideboards, this enchanting little light is perfect for home parties or for relaxing and entertaining, it's also ideal for use in sensory rooms too!